The professionals at Southern Janicorp offer businesses of Lake Charles and the surrounding area superior janitorial, building maintenance, and floor cleaning services to keep their workspaces sparkling clean. Long-term relationships with our clients are the result of dedication to outstanding customer service. We service offices, medical facilities, manufacturing plants, government facilities, auto dealerships, airports, warehouses and more. We provide comprehensive services that meet the highest quality standards, tailored to suit the specific needs of our customers. 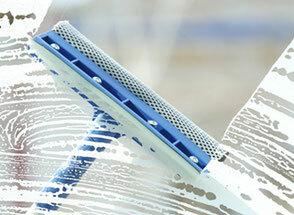 Whether you need a cleaning service once-a-week or seven-days-a-week, we're the team to tackle your job. Southern Janicorp was founded in 2000 with a simple goal: to provide a superior commercial custodial services and a proper income for hardworking individuals. Our mission statement is simple yet powerful. It addresses both our customer and our employee. We know that a happy employee makes a happy customer and we work very hard to select the best staff possible, then pay them well and treat them fairly. Our internal culture fosters hard work, honesty and friendliness. This is what you will see from each member of our staff. 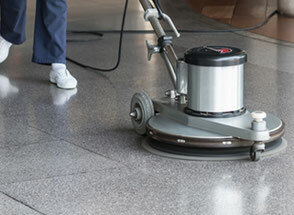 We provide each customer a reliable, friendly cleaning service and each team member rewarding, well compensated work. WE ARE PROUD OF OUR EMPLOYEES! We offer our employees flexible schedules with mostly evening hours which is ideal for those seeking supplemental part-time income. If you are interested in joining our team, please click the button below and submit an application. Based in Lake Charles, Louisiana, Southern Janicorp is the premier commercial janitorial service in Southwest Louisiana, the Gulf South and surrounding areas. We are the number one source for all your custodial needs.